Schultz is seen as the architect of the modern Starbucks, having overseen its expansion from a single coffee shop that opened in Seattle’s Pike Place Market in 1971. 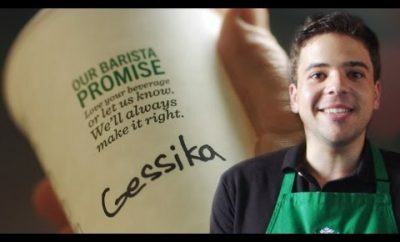 He joined Starbucks in 1982 as director of operations and marketing. Over time he grew it into the iconic brand it is today, with more than 28,000 locations globally. Schultz’s latest leadership transition sparked speculation about his potential political plans: He has been a supporter of former President Barack Obama and Hillary Clinton during her bid for president. Some have already questioned whether he would pursue his own presidential run. “I’ll be thinking about a range of options for myself, from philanthropy to public service, but I’m a long way from knowing what the future holds,” Schultz said in the memo. Schultz, who now will become its chairman emeritus, served as the company’s chief executive from 1987 to 2000, stepping down to focus on the company’s global strategy. He remained on as chairman of the board. At that time, there were only 350 cafes located outside of the U.S.
Again in 2017, Schultz stepped down, handing the keys over to current CEO Kevin Johnson. Once more, he picked up the mantle of executive chairman of the brand, this time focusing on Starbucks’ Roastery and Reserve Bar expansion. “I set out to build a company that my father, a blue-collar worker and World War II veteran, never had a chance to work for. Together we’ve done that, and so much more, by balancing profitability and social conscience, compassion and rigor, and love and responsibility,” he said. 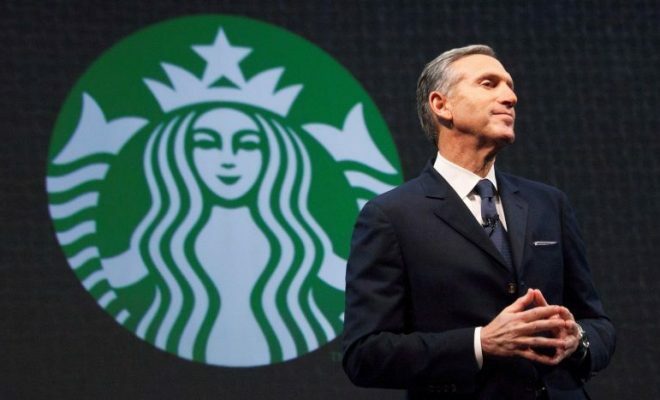 Schultz laid the groundwork for Starbucks’ extensive employee benefits including, health care, stock ownership and free college tuition. As CEO, Schultz also lead global hiring initiatives for veterans and military spouses as well as refugees. Under Schultz’s leadership, the company’s stock has grown 21,000 percent since its initial public offering in 1992. He currently owns 37.8 million shares of Starbucks, or a 3 percent stake, worth about $2.17 billion. Schultz’s leaves at time when the company is struggling to revitalize same-store sales in the U.S., a trend that has contributed to a nearly 12 percent decline in its stock over the past year. Shares of the company were down nearly 1 percent in after hours trading on Monday.